Morning and evening services were held there and there was also a Sunday School. The Plymouth Brethren, I believe, may have owned the building which appeared to be built as a place of worship and in any case, they were influential in the worship and services. The HARE family played a significant role, as did the Pogue family with daughters Sadie and Betty being involved. Tom Hare lived on the Burton Road and had two daughters, Norma and Brenda. He was a carpenter/ and joiner and rode a Velocette motorcycle. He usually led the services and Sunday School. Miss Hare, from Ness, played the organ. On their way out after Sunday School each child was given what they called a ‘Tex’. This being akin to a cigarette card, dare I say, with text from the Bible quoted underneath a (usually) coloured picture depicting an animal, bird, flower etc. I recall one of a heron at the waterside and I copied it. Over the years I continued to draw herons. Now, many decades later, when doodling, it is a heron, which I could, if I tried, draw with my eyes closed. At the odd time, there would be an evening ‘film show’ which was open to the public. A missionary recently returned from Africa would show (usually black and white) films of their work, the villages and people. Some were indeed ‘movies’ and what was most fascinating to a small child was that the person or persons in the movies were actually with them in hall in real life! Once a year there would be an outing (bus/coach), sometimes as far as Prestatyn! I remember there were only two classes, split by age, with children from four years of age. The ‘older’ pupils in the ‘back’ room, where they were taught by Miss Bushell. Younger pupils were in the Main Hall with Miss Alderson and Mrs Croft. The real bonus (at least for the boys) was that at the rear of Salem Hall, there was an embankment, quite high, carrying a railway frequently used by both passenger and freight. The enthralment was incredible at the sight of a huge steam locomotive and train of great trucks (hoppers) marked in big capital letters ‘SUMMERS’. Loaded with iron ore from Sweden (? ), they were destined for RICHARD/JOHN SUMMERS STEELWORKS via BIDSTON DOCKS. How fantastic to have the driver, fireman or guard waving, now that was the icing on the cake. At different periods throughout the year, a four-wheel platform carrying railwaymen and tools and equipment would pass by as the line was checked. After lunch (I had mine at home with my grandmother), folding camp beds were set out in rows. Children then collected their individual blanket from a store by the front door. Blankets were of a fairly course material, grey in colour, each with a motif, thus enabling each child to identify their own. Mine had the outline in red of chicken with yellow beak and legs. After the nap, children lined up for a teaspoonful of cod liver oil administered by Miss Alderson and a spoonful of thick concentrated orange juice from Mrs Croft. Then followed further activities until home time. [Editor’s Note: The Salem Hall is now the hall of the Neston Christian Fellowship. 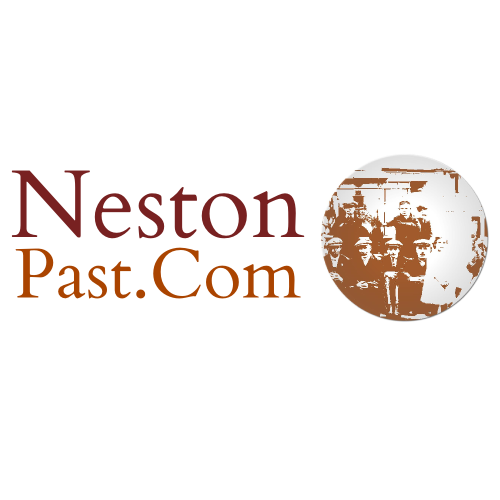 It was established in Little Neston by the Open Brethren or Plymouth Brethren. Members from Hope Hall, New Ferry had attempted to establish an assembly in Little Neston in 1821 but in 1826 they acquired the iron building in Park Street which had been occupied by the Labour Party. A leading member of the church was Charles Fallowdown Oulton Lee, a Liverpool solicitor. In the early days following his marriage in 1897 he had lived in Riverslea, Moorside. When he retired he returned to Neston to The Quillets in Lees Lane with his family, including his son Ernest. When larger premises became necessary they considered buying a piece of land in Neston, owned by Kingsley Nicholls who had a dairy in Neston. Eventually, however, they bought a piece of land on Burton Road in Little Neston and building started in 1936. The Hall was designed by Oulton Lee and built, for the most part, by members of the congregation. It was officially commissioned in 1937. Roy Hare, a carpenter/joiner who lived at Eureka on the Burton Road was an Elder and Sunday School Leader for many years until his death. Tom Pogue, originally from Belfast, worked at the shipyards in Birkenhead and cycled to work from Neston every day. He married Rosanna Hare and lived at Mostyn View on the Burton Road. Ernest Lee was an elder of the church until his death at the age of 97, living at the Quillets in Lees Lane. 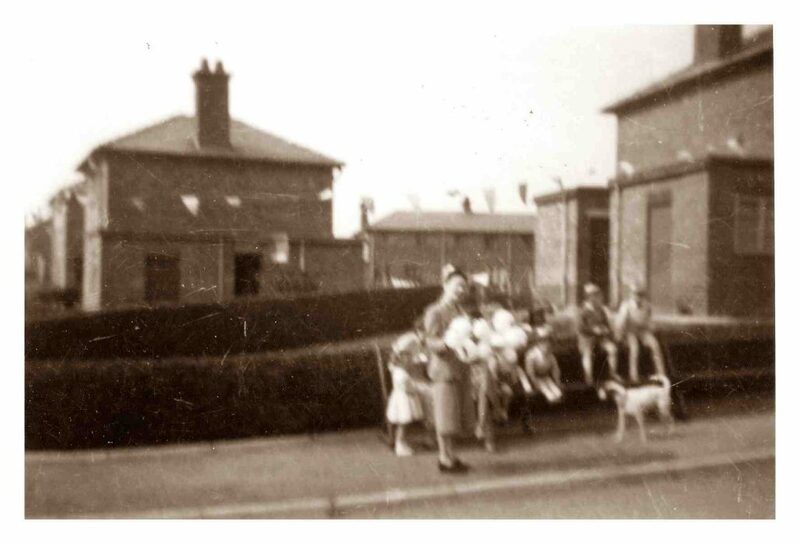 At some stage children were moved to, I think, to the MASONIC HALL in BUSHELL ROAD not far from the railway station. I know not if the SALEM HALL continued to take children or whether ‘BUSHELL ROAD SCHOOL’, as it was called, replaced it. However, it seemed the move was at short notice as the playground at the rear of building was covered entirely in loose cinders! Parents naturally were horrified but I don’t know how the appalling situation was resolved. In this ‘playground’ was a concrete slab. For whatever reason, it broke into two pieces but remained more or less on top of what later transpired to be a hole. Great interest was aroused, DONALD DOW (from Ness) either put his foot on it or tried to run across it – the slab gave way, Donald falling waist deep in water, his sister Dorothy, hysterical with fear and concern. A teacher was soon on the scene and pulled him out. He was, fortunately, unhurt but shaken. The chamber may have been part of a sewer system. 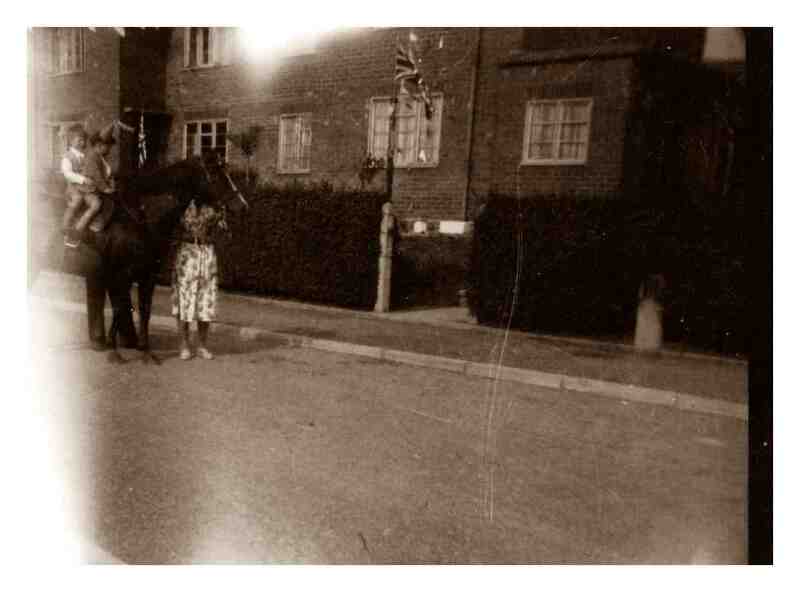 From Bushell Road, children went on to attend the ‘big school’, i.e the Council School, Burton Road. At one time pupils had to write in their exercise books (red with AVOIRDUPOIS and MULTIPLICATION tables on the back) in the space provided for the school name (which was at that time blank) NESTON COUNTY PRIMARY SCHOOL. This was I assume when education systems, responsibilities and funding changed. Neston County Primary had, on one or more occasions collected jam jars- hundreds, if not thousands, stockpiled at school awaiting collection. Children carried them to school in their arms, hands, bags and pockets. Each morning they were collected from the classrooms and stacked by the ‘older’ boys (at that time 14/15+). Health and Safety Executive – who? Remains of school dinners were put in two dustbins and when full, BOBBY ANYON (? ), an ‘older’ pupil, took them along Burton Road on a purpose-built trolley to ABELS’. Bill Abel had a market garden/nursery and also kept pigs in Nissen huts. Of course, the pigs would enjoy the ‘swill’. Bobby would take the empty bins back to school for filling. My family was one of the first to move into the new Rose Gardens estate in Little Neston which was built after the Second World War. 1. Mr Blackbourne who was, I think, an insurance agent and his two children Susan and Christopher. 2. Bill Gabriel who worked at Port Sunlight and had three children, William, Terence and Frances. 3. Mr Croxton, who was a retired farmer, who had a daughter, Dorothy. 5. Philip Wytcherley who worked at Claude Chrimes Cycles in Chester and his family. The children were Carol and Anne. 6. Stan Jones who worked at Roften in Hooton with daughters Marie, Rosemary Anne ‘Babs’, Nora. Charles Bailey with children John, Betty, Ann and Pamela. Albert Jones, who was a Crosville bus driver with children Josephine and Kenneth. The Hares whose daughter was called Alma, the Millingtons with son Stuart and the Griffiths family with children Mary and David. Albert Mellor who sold shrimps, cockles and flatfish from the Dee marsh as well as other odd jobs. His children were Derek, Jean, Roy, Ruth and Philip. Mr Lett who was possibly a teacher with children Jeffrey and Raymond. A family called either Hughes or Cropper with daughters Vivien and Julia. The Peers with sons Stuart and Malcolm. 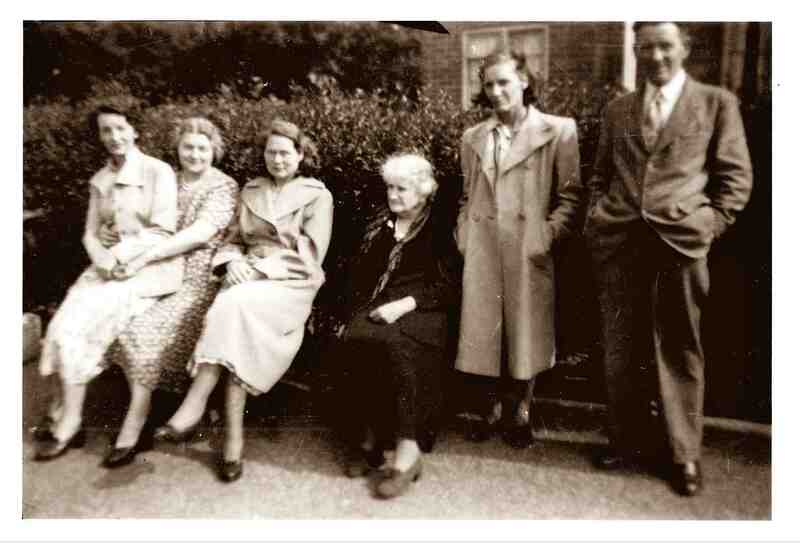 The other families I recall less clearly but I believe they were Smith, Jellicoes who had a daughter called Patricia, Young, Donnelly, Hughes with a daughter Glynis and Davies with daughter Joan. 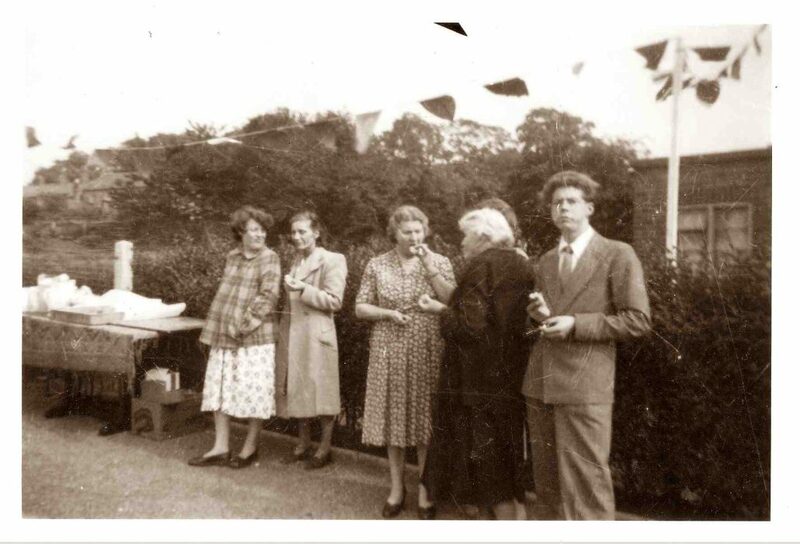 Rose Gardens – Coronation Celebrations 1953. Unidentified children at the celebrations. Further up Badger Bait I remember a piece of wasteland where usually on 5th November there was a bonfire. And there was then the remainder of the narrow winding road where, in a garage, Mr Adshead kept his Daimler which he used for his taxi service business in addition to his grocery store. At the top of Badger Bait, on the left was Adshead’s grocery store with Holland’s, over the road in Town Lane. Hollands was quite upmarket and unusual for those days: the coffee, meats and cheese odours were quite prevalent. The only similar one locally was Coopers in Neston. Next was Archie Mowatt the family butcher where an enormous marrow bone for the dog would cost nothing. Likewise, bacon bones could be bought for next to nothing to make great tasting and nourishing soups, etc. The newsagent and tobacconist which sold nothing else apart from a few sweets and chocolate bars, changed hands a number of times. Outside was one of the ‘new’ cigarette vending machines which was filled just before closing at 5.30/6.00pm. I don’t recall it being broken into, vandalised or stolen. Handleys next door, sold fruit and vegetables and after that was the dairy. The fish and chip shop on the corner was managed by Mrs Wilson. Her husband, ‘Chippy’ Wilson, was a salesman at Storeton Motors, Teyhay Lane, Bebington. She was ably assisted by Mrs Henshaw. I think Mrs Henshaw’s husband was Reg who worked in the Co-op in Neston. The chip shop also sold Moorhouses soft drinks. On the other side of the wide entrance to Griffiths’ farm was Prince’s General Store and Post Office. Rose Prince ran it, assisted at times by her mother. Mr Prince attended to those wanting paraffin, filling customers’ cans and passing them through a side door. Sometime later, this side door which led to a small room became the entrance to a hairdressers’ salon, run by Diana Shatwell and Jean Maylor. This was followed by a row of terraced cottages. Across the road, on the other side of Town Lane was the sandstone house and buildings of Rose Farm, fronted by a sandstone wall. Rose Farm was later re-developed by Jack Ashbrook who bought Rose Farm which included the house and outbuildings all built of sandstone, and a small adjoining field. He bought the farm from Walter Dodd who, by that time, was a Livestock carrier with a blue Dodge wagon. His vision was to supply the local area with that very necessary commodity – PETROL. He made several applications for planning permission for a petrol filling station, shop, garage facilities and living accommodation and for additional shops alongside with flats above. 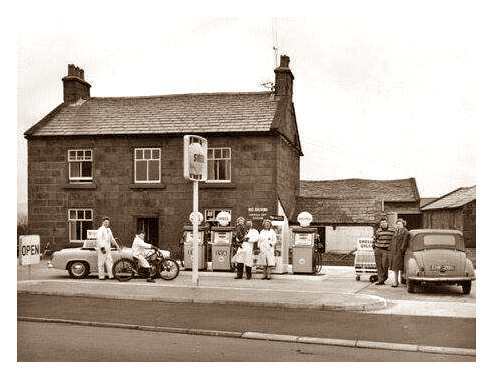 All his early planning applications were rejected on the grounds that there was no need for a petrol station in Little Neston village. But he continued his battle for planning permission and eventually, some years after his first application, and following several appeals and at least two Public Inquiries, permission was granted by the last Inquiry Inspector. Left to right: Gary Ashbrook and Brian Ashbrook, Jack Ashbrook with grandson Wayne, Molly Ashbrook, Jack’s wife, son Graham Ashbrook and his wife Sylvia. (The photograph shows the garage prior to the house being demolished although the roadway had been constructed and continued (left) to the shops’ frontage. The boundary local sandstone wall started a few yards from Bull Hill and extended along Town Lane to a row of terraced cottages. Alice Peers lived in one with her second husband Jack and young son. The wall, house and outbuildings of Rose Farm were ‘dressed’ sandstone, in other words they were blocks/bricks and coping stones that could be used immediately and there would consequently be some demand for it. There was, but as the prices offered were ‘rock bottom’ so to speak Jack Ashbrook felt that he was being somewhat exploited by potential buyers who might then sell it on at a considerable profit. He would have none of it. Chester Zoo at the time was building a new elephant/hippo/giraffe (or other animal) house and enclosure and wanted sandstone to blend in with the natural environment (Wirral and parts of Cheshire are sandstone) so he generously donated all the stone to Chester Zoo. I remember a fire at Griffiths’ farm (Ivy Farm?). A barn of hay/straw caught fire and spread quickly to the other barns; the heat, of course was intense. I have a feeling the family was away for the day when the fire started although I’m not sure and neither can I remember at what time of day it started though I recall that it was still blazing when dusk fell. There was great concern as to the dangers the fire posed and without doubt there was a potential disaster waiting to happen. 0n the one side there were cottages in fairly close proximity on the edge of ‘the Green’ at beginning of Lees Lane and the row of shops was certainly in the line of fire. Without doubt, there was a potential disaster waiting to happen. Moving the livestock and poultry was a priority. Micky Beadles (‘Cockles’) was the young ‘hero’ (or was he a foolish youngster full of bravado?). I think he had genuine feelings for the birds and he climbed onto the roof of an outbuilding and got into the lofts, rescuing the hens from impending doom by catching them and throwing them down to safety. He may have had a mate helping him but he certainly had much applause from onlookers! The row of shops was also ‘in the line of fire’ Hollands grocery: Mowatt’s butchers, the newsagent and tobacconist, Handleys green grocery and dairy, and the Wilsons chip shop. There was concern about the contents of the shops, not just that they might be lost or damaged but that some would certainly be inflammable or might fuel the fire and make it spread more quickly: fridges and freezers, gas and electricity and the material of the old buildings were all potential hazards. The chip shop with its gallons of cooking oil, fats and lard posed a huge threat. Even before flames reached any of the properties, extensive damage was caused by the intense heat. Sometime later in the day, perhaps as it was starting to become dusk, a lorry approached the farm entrance. It was a military style of vehicle, red in colour, with room in the cab for just the driver and one passenger. It pulled up and several firemen jumped from the open back to the resounding clapping and cheering of the many onlookers who came to see the blaze. Looking back, I now wonder if the applause was perhaps mocking and therefore disrespectful to them. I suppose to the onlookers, it may have looked like a ‘Dad’s Army’, volunteer sort of set-up compared to modern fire engines. This was very much far from the case. The vehicle was indeed military, a 4×4 QL Bedford. There were a number of these trucks used by the Ministry of Defence/War Office specifically for transporting extra-long hoses and specialist equipment so, far from being ‘Dad’s Army’, they had an extremely important role to play. I think many, if not most, were based or stored up at Morecombe. There is at least one remaining in existence, owned by a classic/military enthusiast.